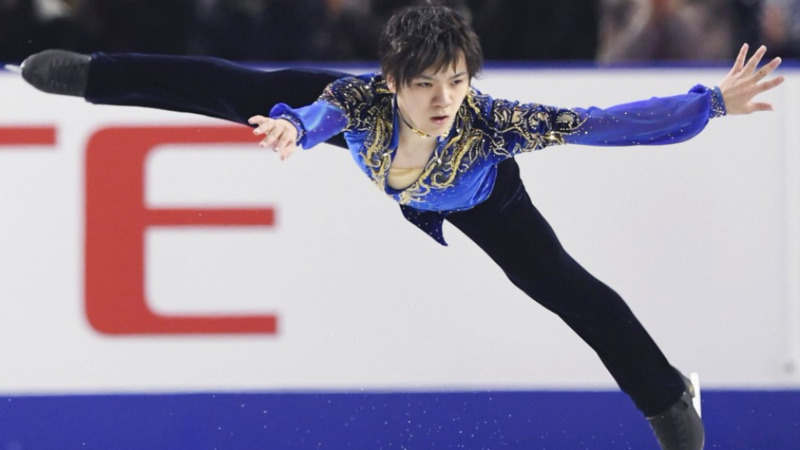 Sochi Olympic gold medalist Yuzuru Hanyu is among a trio of Japanese male figure skaters who qualified for the Pyeongchang Olympics along with Shoma Uno and Keiji Tanaka, Japan Skating Federation said Sunday. Four-time national champion Satoko Miyahara and Kaori Sakamoto will represent Japan in the women's competition at the Feb. 9-25 Winter Games in South Korea. The JSF made the announcement after Uno defended his men's title by a wide margin over Tanaka on the final day of the four-day national championships at Musashino Forest Sport Plaza. Hanyu was granted one of the three berths in the men's event based on his No. 1 world ranking and other criteria despite missing the nationals, which doubled as a qualifier for the Winter Games in South Korea. The 23-year-old is undergoing treatment for a right-ankle injury he sustained during training at the NHK Trophy on Nov. 9 and has not competed since. World silver medalist Uno will make his Olympic debut after claiming a spot granted to national champions in the men's and women's events. Tanaka qualified for the third spot for meeting several standards such as a top-three finish in the tournament. Uno said, "Honestly, I'm still disappointed (from my performance at the nationals) but I'll try my best by telling myself that I don't have a second chance." Miyahara secured one of Japan's two spots for women when she won the nationals on Saturday. The other slot was filled by Sakamoto, who made her senior-circuit debut this season, for meeting several requirements by the JSF, including a runner-up finish in the championships. 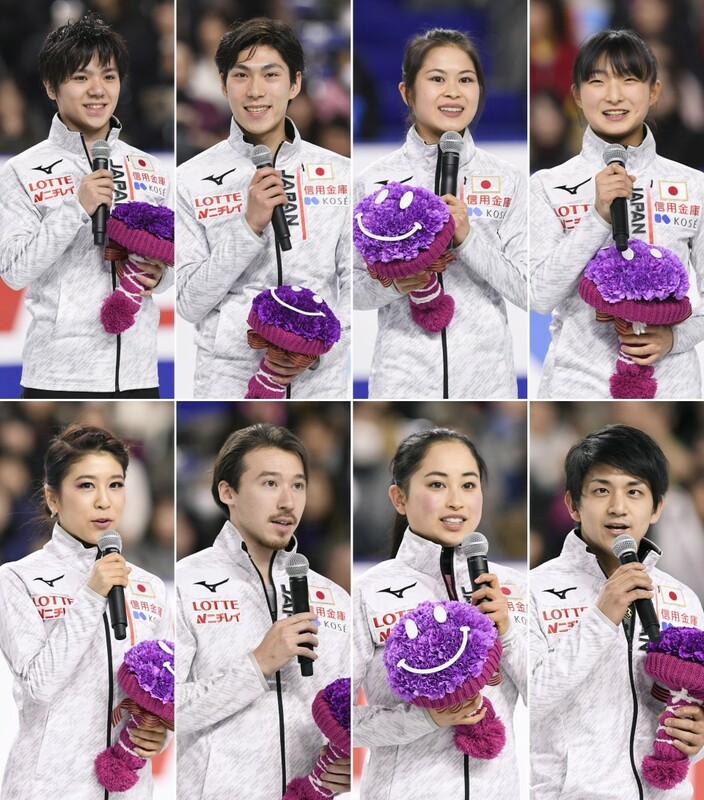 National champions Miu Suzaki and Ryuichi Kihara took the only spot in the pairs Olympic event, while Kana Muramoto and Chris Reed will compete in the ice dance. In the men's free program, Uno, who led after Friday's short program, claimed the victory with 283.30 points. Tanaka was 16.15 points behind Uno, and Takahito Mura was third. The 20-year-old Uno opened his routine by landing a quadruple loop. However, he fell when landing a quad flip in the second half, and failed in his attempt to pull off a challenging double axel-quad toe loop combination. In the ice dance, Muramoto and Reed claimed their third straight championship with 166.45 points.